Leading to Real Agility is tough work. This ½-day one-on-one workshop helps you focus on the most essential aspects of your development as a leader. You will learn about your reactive tendencies that hinder you from leading your organization or team towards Real Agility, and you will learn about your creative capacities that support your journey towards Real Agility. Great follow-up to a CSM, CSPO or Leading SAFe class! An excellent course which allows leaders to transition their mindset to an agile mindset. BERTEIG was great at providing insight on Agile to a group of us that have little working experience with it - but are exposed to it constantly. If you have dealt with Mishkin you’ll notice he’s got a powerful and rare trait: caring about people! 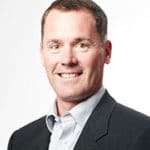 It’s no surprise that he’s been active in the Agile community for years.... Mishkin has a deep understanding of Scrum and Agile with a great enthusiasm in sharing, teaching, mentoring, and overall embodying what it means to be Agile. Mishkin has personally helped me get my company off the ground, and within a one-hour initial meeting transformed my way of working. A top expert and a perpetual learner? Yes! Mishkin is somehow able to get outstanding results while fostering an environment of learning and performance agility. He is committed to sharing his experience and creating a highly collaborative and innovative work environment inspiring people to action. Mishkin exemplifies a rare combination of genius and humility, of pragmatism and creativity earning him a reputation as a superbly capable and trustworthy advisor to organizations. I am certain I can now function as a strong Product Owner. I really look forward to working with Mishkin Berteig again. Understand specific actions you can take as next steps on the path to Real Agility. Understand how your personal mental models support or hinder you as a leader in an Agile organization. Utilize personal and team techniques to support your leadership direction and style. Learn how to leverage the relationship between your leadership and the culture of your organization. Use the Leadership Circle Profile™ (LCP) to understand your current leadership effectiveness. This online tool requires that you invite your 360 “evaluators”: your direct reports, your peers and your boss to participate in a 20-minute survey on your leadership behaviours. Your results are private and shared only with the facilitator of this workshop and the survey responses of your invited “evaluators” are anonymous. Once you have registered, you will receive detailed instructions on how to use this tool. After completing the LCP, you will be invited to review a series of 16 videos on “Leading to Real Agility”. Each video is 2-3 minutes long. We go over your results, discuss the results and dig into their implications for your work as a leader. 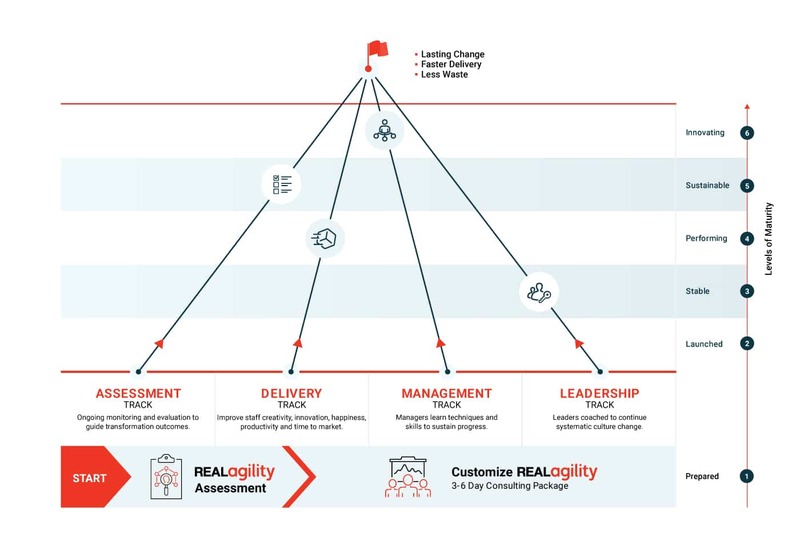 Connect your LCP results to your team, your organization and the ideal Real Agility culture. The topics we cover will be determined through evaluation of your LCP results and through your own questions and needs. BERTEIG consultants deliver results that transform your organization with new thinking, innovations, and strategies rather than simply supporting and enhancing traditional methods. Agile frameworks allow organizations to deliver business value quickly. The benefits of these frameworks are clear: projects are more profitable, easier to deliver, and provide transformational change at the organizational level. Real Agility coaches provide a comprehensive set of recommendations after in-depth consultation and evaluation. These recommendations focus on strategies to double the productivity of the organization and achieve enterprise Agility. Real Agility coaches support staff teams to boost their creativity, inspire their innovation, improve the quality of results, increase their engagement and advance their productivity using a transformative team development approach. 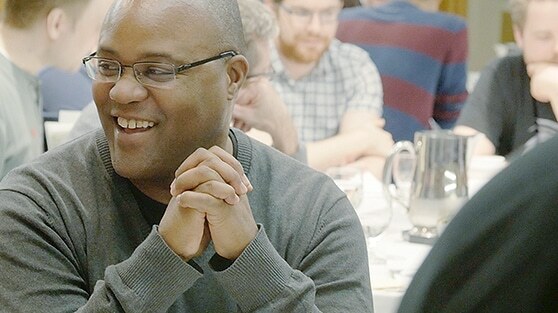 By accompanying a cohort of mid-level managers to learn the techniques, to develop new skills and to apply them directly, experienced Real Agility coaches ensure the organization sustains its progress into the future. Real Agility coaches support leadership teams to develop good strategic management skills through systematic culture change to ensure that critical success factors are managed by the people who wield both the authority and influence necessary to succeed.